The fridge is empty, the cupboards are bare, and the wallet is empty- what do you do? That’s exactly where I found myself recently (well actually once upon a time when I was a student,so according to my friends and birth certificate not that recently,but you get the idea…), so I threw together this little salad, slapped it on toast, and had the best brunch I’d eaten in months. There are a lot of ingredients in this dish, but you should notice that most of them are staples (garlic, oil, S&P) that you should probably already have in your kitchen. *You can buy a pack of mixed mushrooms from the grocer (shiitake, oyster, button, cremini, etc. ), or you can mix your own. 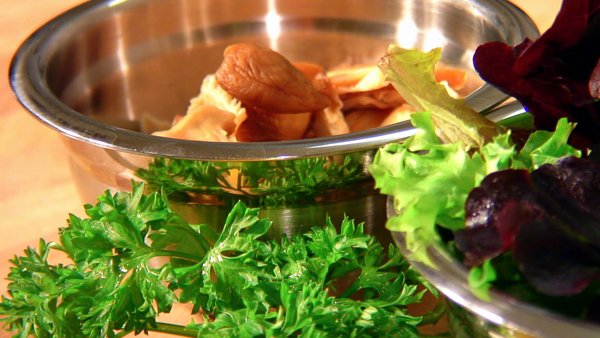 Dried mushrooms are okay too, just rehydrate them in hot water for 20 minutes. Melt the butter and oil in a large pan. When the butter stops foaming up, add the mushrooms, garlic, thyme, salt, and pepper and cook over medium heat for about 5 minutes. 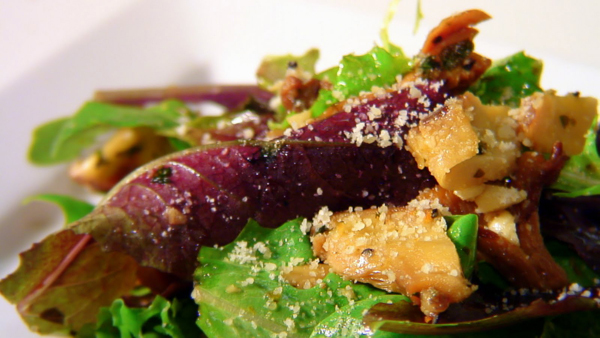 Once the mushrooms are tender, sprinkle with parsley and a touch of lemon juice. Toast the bread and arrange on a plate. If you don’t like sourdough, just choose your favorite substitute- something hearty and savory. 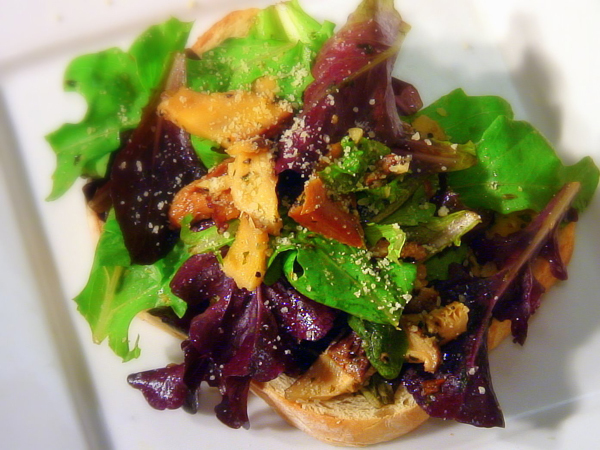 Toss the mushroom mixture and the salad greens and place on top of toast. Drizzle with a touch more oil and lemon juice. 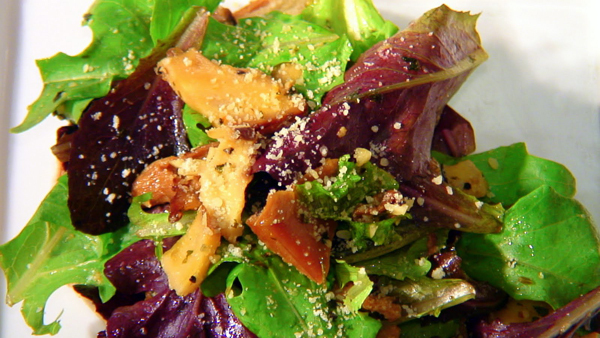 Sprinkle with shaves or grate over parmesan cheese.